N.C. Democrats have traditionally used courts as political chess pieces, but Republicans are trying — mistakenly — to turn the game in their favor by making institutional changes to boost party power, experts say. 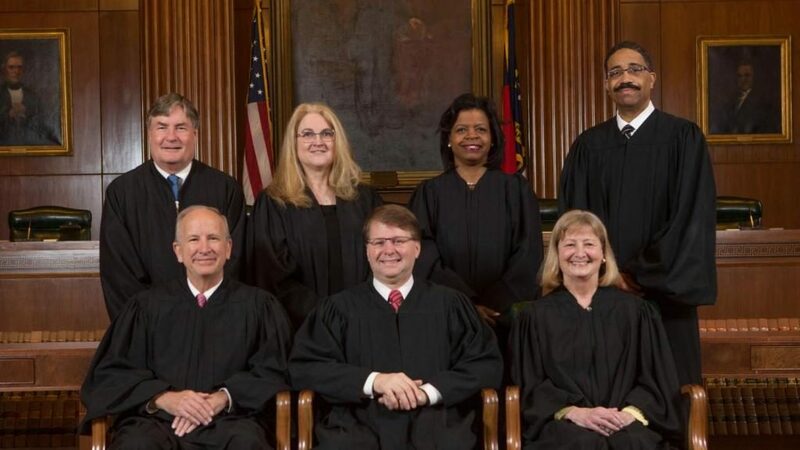 Those changes could backfire, as shown by the political maneuvering in the state’s Supreme Court race, said Gregory Wallace, a constitutional law professor at Campbell University Law School. A new poll from Spectrum News shows incumbent Associate Justice Barbara Jackson, a Republican, falling behind Democratic challenger Anita Earls. Earls, a left-leaning civil rights lawyer who for 10 years headed the Southern Coalition for Social Justice, is polling ahead of Jackson at 43 percent, the poll shows. Christopher Anglin, a one-time registered Democrat who in July joined the race as a Republican, is polling at 22 percent, splitting Jackson’s following to a mere 15 percent of voters less than a month before the election. Twenty-one percent of voters remain undecided. Six associate justices and one chief justice serve eight-year terms on the state’s highest bench. The current roster includes Chief Justice Mark Martin and associate justices Paul Newby, Robin Hudson, Cheri Beasley, Sam Ervin IV, Michael Morgan, and Jackson. Jackson, Martin, and Newby are Republicans. Beasley, Ervin, Hudson, and Morgan are Democrats. If the state’s highest court slides further to the left, Republicans won’t sit on their hands, Wallace said. A constitutional amendment — up for voter approval Nov. 6 — would give the state’s legislative branch more authority over appointments for judicial vacancies, a change that could spark future power plays. It’s an amendment that doesn’t poll well among voters — mostly because it’s confusing, said Andy Taylor, a political science professor at N.C. State University. Adding the amendment to the state constitution would give the party controlling the legislature more sway over the judicial branch. Republicans could use that to their advantage — if they maintain control of the General Assembly. That’s a big gamble, Taylor said. If the previous election is any indication, North Carolina may trend blue during midterms, Wallace said. Morgan, a Democrat, beat former Justice Robert Edmunds, a Republican, in 2016. Ballot shenanigans likely played a role, Taylor said. Morgan was the only Democrat that year to win a statewide court contest Republicans won all five seats contested in 2016 on the state Court of Appeals. But voters may not have known Morgan’s party affiliation. The General Assembly didn’t allow Supreme Court candidates to state their party on the ballot — unlike appeals court candidates, who could. Morgan — who appeared before Edmunds on the ballot because of another odd legislative maneuver — narrowly defeated the conservative incumbent. A law passed this year by the General Assembly will affect partisan play in the race between Earls and Jackson. Senate Bill 3, a controversial law that passed over Gov. Roy Cooper’s veto, restored the partisan affiliation of judicial candidates on ballots. The General Assembly eliminated judicial primaries for this election cycle, so several candidates from the same party could run against each other in the general election. That was a big mistake, said former N.C. Supreme Court Justice Bob Orr. Orr, who served on the Supreme Court from 1994 to 2004, is no stranger to bench politics, retiring after the eruption of a “political firestorm” that spread following a controversial legislative redistricting decision. Every major Democratic and progressive interest group have endorsed Earls. Anglin, whose campaign is run by veteran Democratic consultant Perry Woods, is running with an “R” next to his name. That complicates things, Taylor said. An average voter isn’t likely to research each judicial candidate, but will check boxes according to political affiliation. Anglin’s spot as the only male Republican candidate may divide conservative voters, Taylor said. “I don’t think there is any question that the pro-Trump, white male base — given the choice between a male judge and female judge who are both Republicans — say “I’m going to vote for the man,” Orr said. Ultimately, the race for the highest bench in the state is proof that the Supreme Court has, unfortunately, become a pawn of political agenda, Wallace said.